Frequently Asked Questions The below questions and answers apply to policies purchased through Travel Guard Group, Inc. USA (Travel Guard), one of AAC’s preferred travel insurance providers. Answer: Under most of our US products, you would be covered based on your purchase date being prior to April 14, 2010, subject to policy terms and conditions. We encourage you to contact our 24/7 Service Center or your Travel Guard sales representatives with additional questions as coverage and benefits vary by product. 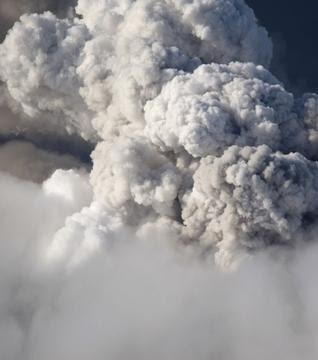 Answer: If the current Iceland Volcano situation subsides and commercial airlines resume normal schedules prior to your trip, any new eruption would be considered a new event under our US policies. Coverage would be administered according to the product purchased (based on limits and exclusions). We encourage you to contact our 24/7 Service Center or your Travel Guard sales representatives with additional questions as coverage and benefits vary by product. Answer: The first call you should make is to your air carrier as all airlines have made rebooking passengers impacted by this event a priority. That said, please contact Travel Guard for additional assistance, both for flight rebooking and to initiate a claim if applicable. Answer: Eligible US plans would need to have been purchased before April 14, 2010. Answer: Our 24/7 assistance centers stand ready to help you and your customers. Our services include flight rebooking, hotel rebooking, cash wire transfers, translation services, message relay and more. Our worldwide reach has also helped our insureds avoid spending nights in airports, as we have helped get them accommodated in hotels during their delays. To purchase Travel Guard Insurance, go to this link: Travel Guard, or give us a call at 866-778-1089.